at THE MIXX in PASADENA, CA on SAT 2/16. 1st Round 2018 Grammy Ballot for Best Contemporary Blues Album! Best Blues Album 2018 Nominee, Downbeat Mag Reader’s Poll! Best New Artist 2018 Nominee, Independent Blues Awards! “Morvan has all the soulfulness of Bonnie Raitt and the swaggering, muscular guitar tone of Stevie Ray Vaughan” (News Gazette, Champaign, IL). 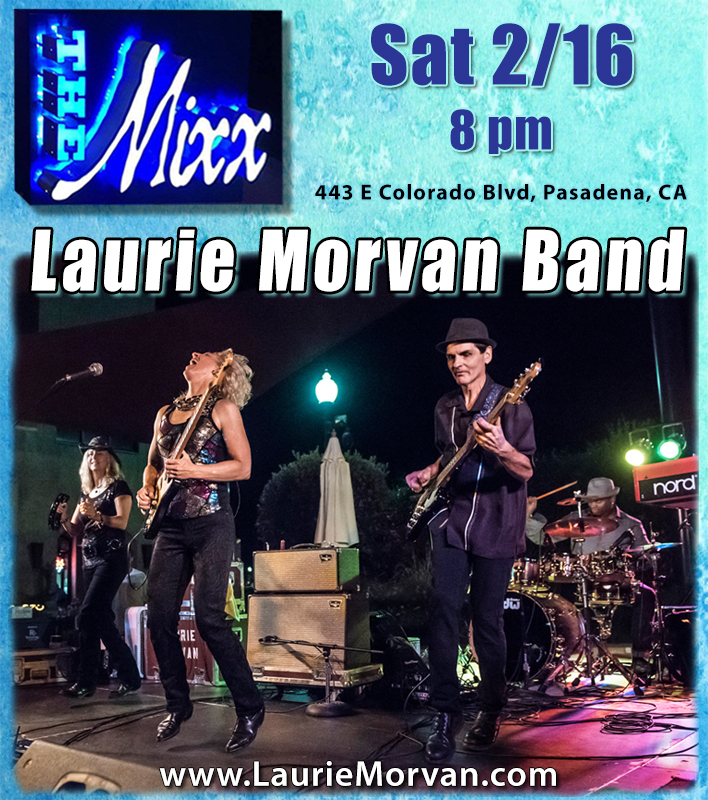 Laurie Morvan Band is a five piece high energy, rockin’ blues band lead by their female lead guitarist vocalist, Laurie Morvan. Based in Long Beach, CA, the band carved out its tight sound performing at over 70 festivals and 700 special events and club dates throughout the USA, with additional dates in Canada and Europe.